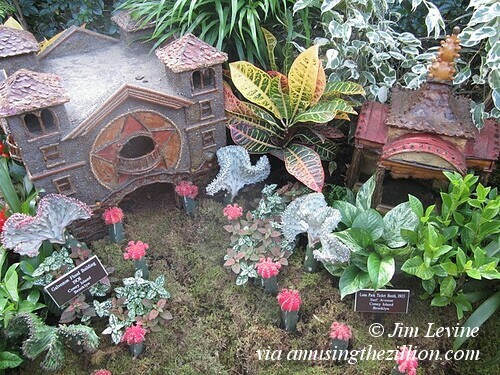 Every Christmas, exquisite models of long-vanished Coney Island landmarks are part of a holiday tradition at the New York Botanical Garden in the Bronx. 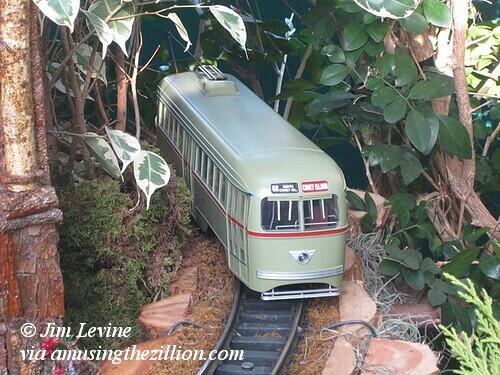 Thanks to ATZ reader Jim Levine, who sent us his photos of the 20th annual Holiday Train Show. Among the replicas are the original entrance and a ticket booth from Coney Island’s first Luna Park, which opened in 1903 on the north side of Surf Avenue. There’s also a Coney Island bound trolley and the Galveston Flood Building, where a cyclorama of the 1900 catastrophe was a popular attraction. 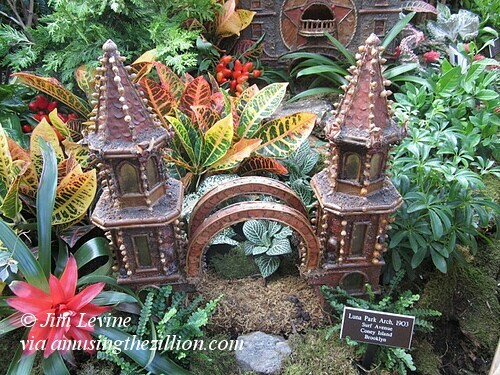 The New York Botanical Garden Holiday Train Show runs through January 16, 2012. Tickets are available online.